Cherokee County Alabama | Things to do, see, and experience on Weiss Lake and other outdoor destinations. Many thanks to Woody’s Family Grill for catering our Annual Meeting! The food was delicious !!! Also, thank you to our Chamber Ambassadors and Youth Leadership Cherokee Students….we couldn’t have made it without your help !!! Each municipality in Cherokee County has a lot to do ! Library Holidays: Good Friday, April 19 Fine Free week: 1st 7 Days of each month. 1. Want to show off your best dance moves? Do you want to help promote the Summer Reading Program? Then come on in and dance in our summer reading promotional video! If you’re good at dancing—or just like having fun—then ask us how you can be in the video. 2. TAB (Teen Advisory Board) meets the first Monday of the month: May 6th at 3:30 PM! with County Historian Jim Lewis 12:00 – 1:00 P.M.
5. Code Club: Kids can gain important tech skills and have fun as they learn to make websites, video games, apps, animations, and more! Self-paced learning on a first come, first served basis. Tuesdays at 3:30 p.m. #librarycodeclub For information, call Dana or Rebecca at 256-927-5838. April 23: Smart But Helpless Kids; May 14: Recognition Day; May 28 Understand the Effects Stress and Trauma Have on Children; and the Simply Awesome Summer Program June 11 & 25. 7. Chair Yoga: Everyday stress? Join Linda Abernathy for a 15-minute stretch session! 8. Genealogy Class with Rebecca Homan: Tuesdays 1:00-3:00 P.M. Call to register. 9. AARP Smart Driver Course, Monday, July 8, 2019 9:00 AM –3:30 P.M.
$15.00 for AARP members, $20.00 for non-members. Audit the course for free. Call to sign up! 10. Storytime: Tuesdays and Thursdays at 9:30. Last program before fall: April 16. 11. The Sew Joyful Quilters meet at the library on Thursdays from 10:00 A.M. to 12:00 P.M.
12. Reading Around Book Club meets on the first Monday of the month, 11:00 A.M.
13. Drawing Class: Ages 10 and up, Thursdays at 3:30 P.M.
1. .Computer Lab Closings: The library computer lab closes for a much-needed update on April 10th , 11th , and 12th. We apologize for any inconvenience to our patrons. 2. Want to show off your best dance moves? Do you want to help promote the Summer Reading Program? Then come on in and dance in our summer reading promotional video! If you’re good at dancing—or just like having fun—then ask us how you can be in the video. 3. TAB (Teen Advisory Board) meets the first Monday of the month: May 6th at 3:30 PM! 6. Code Club: Kids can gain important tech skills and have fun as they learn to make websites, video games, apps, animations, and more! Self-paced learning on a first come, first served basis. April 9: Children’s Habits: Good or Bad; April 23: Smart But Helpless Kids; May 14: Recognition Day; May 28 Understand the Effects Stress and Trauma Have on Children; and the Simply Awesome Summer Program June 11 & 25. 8. Chair Yoga: Everyday stress? Join Linda Abernathy for a 15-minute stretch session! 9. Genealogy Class with Rebecca Homan: Tuesdays 1:00-3:00 P.M. Call to register. 10. AARP Smart Driver Course, Monday, July 8, 2019 9:00 AM –3:30 P.M.
11. Storytime: Tuesdays and Thursdays at 9:30. A fun early literacy boost for preschoolers! 12. The Sew Joyful Quilters meet at the library on Thursdays from 10:00 A.M. to 12:00 P.M.
13. Reading Around Book Club meets on the first Monday of the month, 11:00 A.M.
14. Drawing Class: Ages 10 and up, Thursdays at 3:30 P.M.
1. Computer Lab Closings: The library computer lab closes for a much-needed update on April 10, 11, and 12. We apologize for any inconvenience to our patrons. 2. TAB (Teen Advisory Board) meets the first Monday of the month—Today (no fooling) April 1st, and May 6th at 3:30 PM! 8. Genealogy Class with Rebecca Homan: Starts April 2, Tuesdays 1:00-3:00 PM. Call to register. 9. AARP Smart Driver Course, Monday, July 8, 2019 9:00 AM –3:30 PM. 10. Storytime: Tuesdays and Thursdays at 9:30. A fun early literacy boost for preschoolers! 1. TAB (Teen Advisory Board) meets the first Monday of the month—April 1st at 3:30 PM! 3. 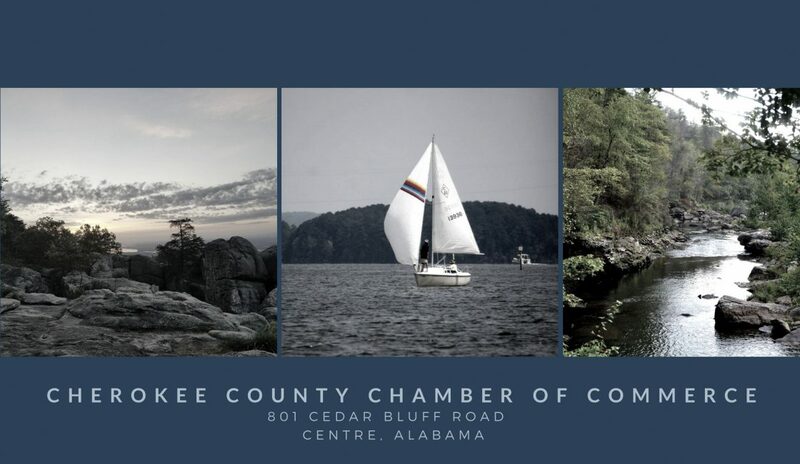 Lunch Date with Your State: First in our series of four Alabama Bicentennial lunchtime talks. Friday, March 22: Alabama in Pictures with Wanda and Michael Green 12:00 – 1:00 P.M.
4. Code Club: We’ve started our very own code club here at the library! Kids can gain important tech skills and have fun as they learn to make websites, video games, apps, animations, and more! Instruction is self-paced. Space is allocated on a first-come, first served basis. 6. Kids and Kin, a statewide supportive program for anyone providing care for a relative’s children, meets at 10:30 AM. Everyone welcome; contact Larinda Garrett at 334-465-0099 for more info. March 19: Math with Infants and Toddlers Also meets April 9 & 23, May 14 & 28, and for the Simply Awesome Summer Program June 11 & 25. 9. Storytime: Tuesdays and Thursdays at 9:30. A fun early literacy boost for preschoolers! 10. The Sew Joyful Quilters meet at the library on Thursdays from 10:00 A.M. to 12:00 P.M.
11. Reading Around Book Club meets on the first Monday of the month, 11:00 A.M.
12. Drawing Class: Ages 10 and up, Thursdays at 3:30 P.M.